Prepared hot and ready for you to take to your party! One dozen meatballs over 2 quarts of veggies with sauce, prepared hot and served in a disposable tray with lid; Ready for you to pickup and take to your party! Note: Please order all catering sized orders in advance. Cold food to take home! All of our meatballs and veggies are sold cold as well for your convenience. 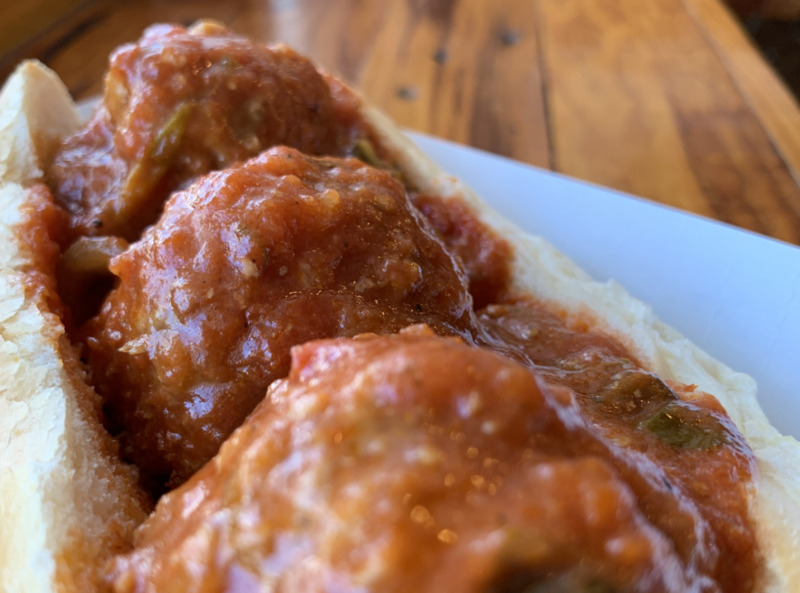 Pickup a half or full dozen meatballs, or more, fully cooked and chilled so you can take home to heat up when you need. Each half dozen comes complete with 12 fluid oz of marina sauce. Our baked spaghetti squash and our roasted eggplant are also sold in quart containers to complete your meal.